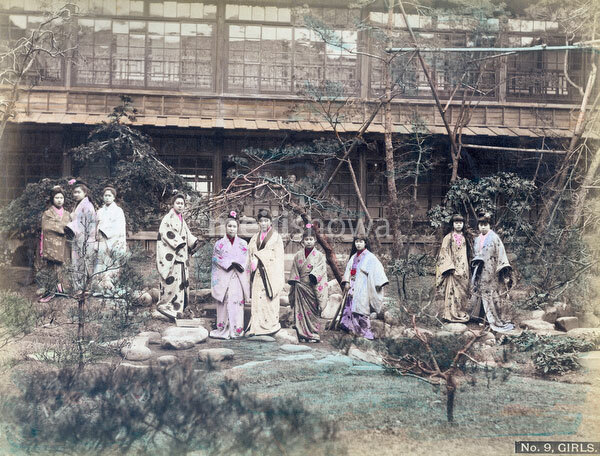 Prostitutes of Japan’s most famous house of prostitution known as Jinpuro (Nectarine) or No. 9, in Yokohama, Kanagawa Prefecture, ca. 1880s. This is at the same location, albeit shot from a different angle, as 80302-0072-PP – Jinpuro Prostitutes.